What are the different kinds of ballast? In order to appreciate the flowering plants in your garden all throughout the day, you must be able to have a very good lighting fixture and the best digital ballast. Aside from this, a ballast would be your best ally when you’re trying to grow the healthiest crops using your best automatic lawn sprinkler and grow ﻿lights. Regulates lamp currents – as the voltage enters the fluorescent light, it is important to control the voltage and ensure that the supply is adequate. In the same light, the electric current should be maintained in harmony at all times. Prevention of lamp overheating and lamp burnout – if the current and voltage are not well-kept, there is a possibility of quick and uncontrolled current draw from its source of power. 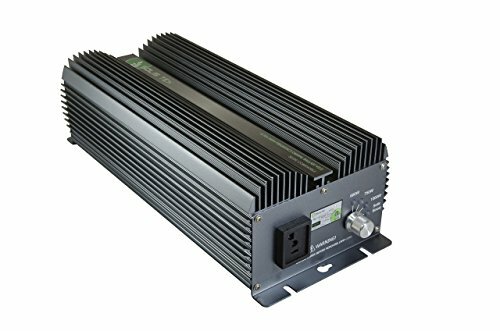 This power source contains large amounts of voltage which leads to overheating and burning out if the transfer of energy is not restricted. Digital – also known as ﻿﻿electronic ﻿﻿ballast. This kind is used by fluorescent T8s and 4-pin CFLs. This is the latest technology of a ballast. It deletes flickering (Yup! The one that makes every horror scenes scarier), and the buzzing sound of light bulbs. Magnetic – used by T12 linears and 2-pin CFLs; this is the original form of ballast. The process of supervising the flow of electricity is done little by little; hence, it produces the noise. The selection would include 1000-watts. Why? Well, basically my mind asks me, “Why would I purchase a 600-watt and be restricted wherein I can have a 1000 watt and taper it down as needed?” Aside from that, I have observed that the 600-watt powered light does not really penetrate deeply. The ballast having a dimmable feature is another characteristic that I considered while making this list. This is due to the fact that it makes it possible for us to safely adjust the warmth and light of our grow lamps with ease. 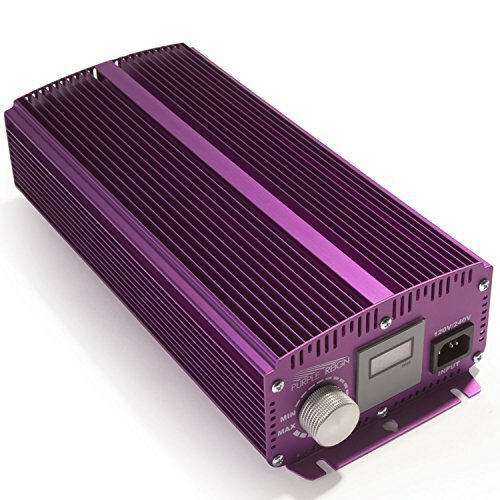 One of the ballasts with high user reviews would be Apollo’s Horticulture Purple Reign. This is a powerful machine which unbelievably emits little to no noise at all. I also do not have any problem with internet or Wi-Fi connections. As compared to other ballasts, I have observed Apollo Horticulture to be cooler. Undeniably, it has the most attractive color too. However, we have to acknowledge other reviews saying they are bothered by the Radio Frequency Interference noise it has and that others experienced untoward reactions with their source of internet. 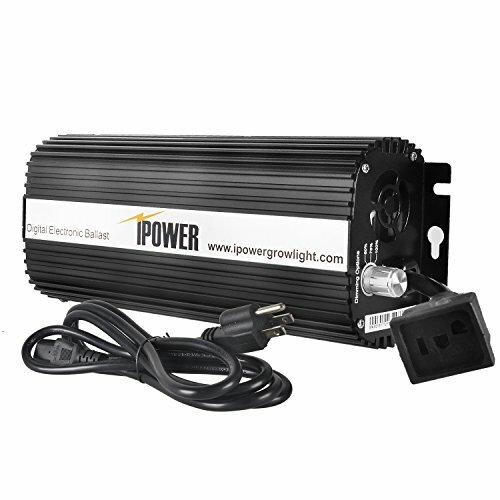 What I highly appreciate with iPower ballast is that it has special protective features. As you might have observed from my previous posts, I am very concerned with the safety of my family and readers. It has protection from end-of-bulb-life, ignition failure, overheating, power surges and short circuit. No wonder it has a CE (Conformité Européene) certificate and it belongs to the list of Underwriters Laboratories (a safety organization in the United States of America). The automatic shut off and fast lamp ignition features also make it recommendable. It is smaller than others, which is a definite plus if you consider saving space a big issue. It has a stable light output and a built in cooling fan which is what I like too, but others claim that it easily overheats. Its durability, however, is debatable, although I do not have problems with it. Some reviewers would attest that their units would perform perfectly during the first few months but as it gets older, the effectiveness depreciates. Another concern is that it has high RF interference. Thankfully, this digital ballast has 2-year manufacturer’s warranty. The Anti—hot start – is the best feature for me. It ensures that it will only strike bulbs once cooled. It has a manufacturer’s warranty lasting until 3 years. In addition to that, Solistek Matrix Digital Ballast STK1001LCD also has SensesSmart technology (which prevents ignition unless it is connected completely and properly). There is also a micro-second delay with this ballast to avoid power surges. This unit boosts all wattages and its Grow Synch Technology synchronizes all ballast from the same brand. It also has an in-ballast timer that allows you to customize the grow cycle by programming it. Some of the notable issues brought up by customers include its noise and increased interference (to which it can be easily addressed by using shield wires). However, we need to be careful because there were reports of units randomly turning on and changing watts – which could initiate a fire. The product producing brighter lights and that it is cool when being used are some of the positive comments. With these three, the best digital lamp ballast I can recommend would be:Although the 3-year warranty and the assurance of good customer service to each and everyone are above all, in recent times, considered a great factor when purchasing items, The Apollo Horticulture Purple Reign comes second best to iPower ﻿GLBLST1000D Digital Dimmable Ballast. I highly appreciate all the commendable features a customer can enjoy despite the fact that it was the cheapest of the 3. It definitely gives value for your hard-earned money. Read manuals and follow instructions properly. The required electrical requirement of the lamp should exactly match the output of the ballast. Identify if the ballast it compatible to the light fixture. Let your bulb cool down at least 3 minutes before re-igniting the lamp as this is not possible when the bulb is hot. These are potential fire hazards; make sure to place your ballasts where air can circulate very well. Not advisable for close, tight, and small spaces. I hope you enjoyed today’s discussion. Which of the three ballasts are perfect for your needs? Share your thoughts below.